Recently, Matthew Deming joined Lyric Opera of Chicago for the world premiere of Bel Canto by Jimmy López (composer) and Nilo Cruz (librettist). He has performed as soloist with leading orchestras, including the New York Philharmonic, American Symphony Orchestra, the Israel Philharmonic Orchestra, and Los Angeles Philharmonic, in addition to such esteemed organizations as Musica Sacra, The Collegiate Chorale, Bard Music Festival, Caramoor Center for Music and the Arts, Berkshire Chorale Festival, Mostly Mozart Festival, St. Ignatius Loyola (NYC), and the NY Virtuoso Singers. 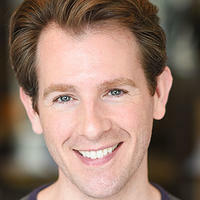 Also gifted in the musical theatre field, he has been featured on Broadway in Kander and Ebb’s The Visit, as Louis Perch, one of the legendary Chita Rivera’s sidekick eunuchs.